Located at 51 Lake Arrowhead Rd., Myrtle Beach, Arcadian Dunes offers a level of rarely seen in a condo community in the Myrtle Beach area. The low-rise condo community offers 2 bedroom units featuring large kitchens and screened porches, surrounded by beautifully landscaped lawns. The community has a clubhouse, two pools, a hot tub, a steam room and sauna for residents to enjoy and the picnic/grilling area is perfect for getting together with friends and family for an outdoor party. There are tennis courts, gazebos, a playground, and horseshoe pits providing opportunities for fun and games with neighbors and friends. Only a few blocks from the beach, Arcadian Dunes is also close to fantastic shopping opportunities like Broadway at the Beach and Tanger Outlet Mall, popular entertainment venues, and an amazing variety of dining choices, including the onsite restaurant, Harry the Hats Sports Bar, and Myrtle Beach’s renowned Restaurant Row. Golfers love being next door to the Arcadia Golf Course and close to dozens of other golf courses in Myrtle Beach. These condos are perfect for someone who is looking for convenience and wants to be part of the excitement of the Grand Strand. Whether you are an avid golfer, a beachcomber, or just like to have an unlimited variety of options for fun, these condos are just what you are looking for. 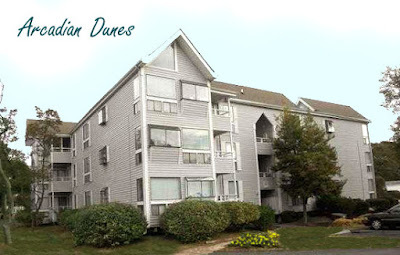 Visit our website for more information and call our real estate professionals today for a private tour of the beautiful Arcadian Dunes condos for sale.